Barcelona is one of Spain’s party headquarters. This incredibly beautiful city can be found in the north eastern part of Spain, and it offers something for everyone. During the days you can spend time shopping, take in some of the classic Gaudi architecture, such as Casa Batllo, one of Barcelona’s most unusual houses, or spend a day relaxing at the beach. When night falls, it’s time to party. Clubs are sprinkled liberally throughout Barcelona, with every kind of music that you could want, and styles that change with each neighborhood. 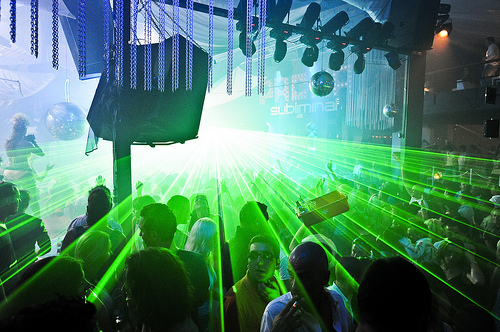 The most popular clubs can be found in the waterfront area, and they don’t even open their doors until midnight so the party continues well into the morning. St. Tropez in France has long been known as a personal playground that caters to the rich and famous, and its party scene is unmatched. If you happen to be on the French Riviera any time soon, you can rub elbows with the very wealthy by stopping by some of the more popular clubs like the little places such as Les Caves du Roy,which is located in the Byblos Hotel. If you want to hang with a younger crowd, Bodega de Papagayo may be more to your tastes. St. Tropez is fairly costly, so those who aren’t independently wealthy often choose to find lodging in Cannes or Nice, and make St. Tropez an evening excursion. What better place to party than the home of the world’s largest beer festival? You can find amazing clubs and bars in any German city, but Munich is easily the best party city in the country. Munich has a very large population of college age residents, and where there are college kids, there are parties. Like many other cities throughout Europe, the evening starts at bars, and then the partiers continue on to the many dance clubs which operate nearly all night, some of which don’t close until 4 am. One of the more popular clubs is Prinzregentenstrabe 1, which served as a USO Club while WWII was being fought.